This is the introduction and the printable materials for a workshop I gave at the Allied Media Conference 2014 in Detroit. 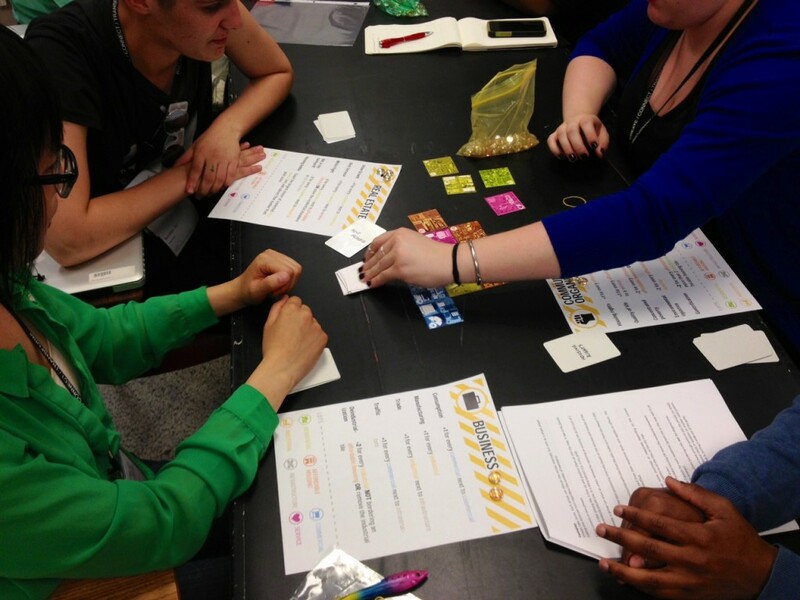 The workshop was centered around MultipliCITY, a basic framework for a city planning board game designed to be expanded and modified by the participants. You can download MultipliCITY here and read slightly edited notes from the SimCity presentation below. 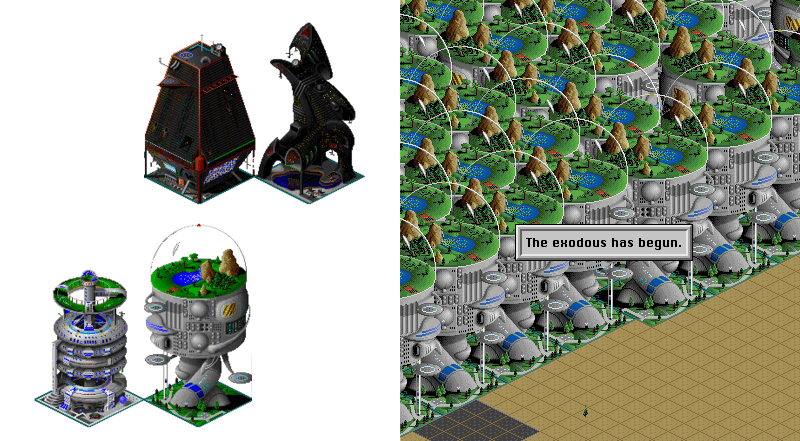 MultipliCITY is meant to be an antidote/response to SimCity. But what’s exactly wrong with SimCity? First, let me clarify that we are talking about a series of games that has been going on for more than 25 years. There are some significant differences between the various SimCity games but I’ll mostly talk about the features shared by all the chapters. 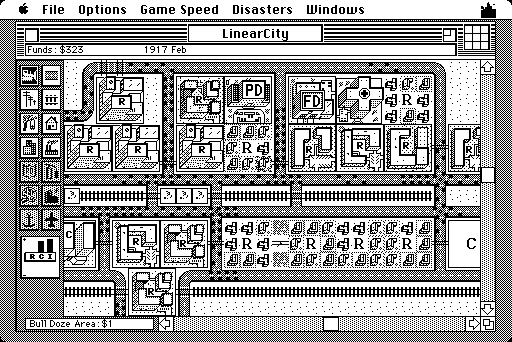 He delved into urbanism theories, like system dynamics, and eventually created the original SimCity which was released in 1989. It was very innovative for the time: it was a sandbox, a software toy. There was no winning and losing condition. Publishers were very skeptical about it. And yet it became a great success. If you’ve never played it, you have to know that the gameplay is not simply about placing buildings like in a lego set. You lay down infrastructures and facilities but the crucial part is designating certain areas to certain use: residential, commercial, industrial and so on. 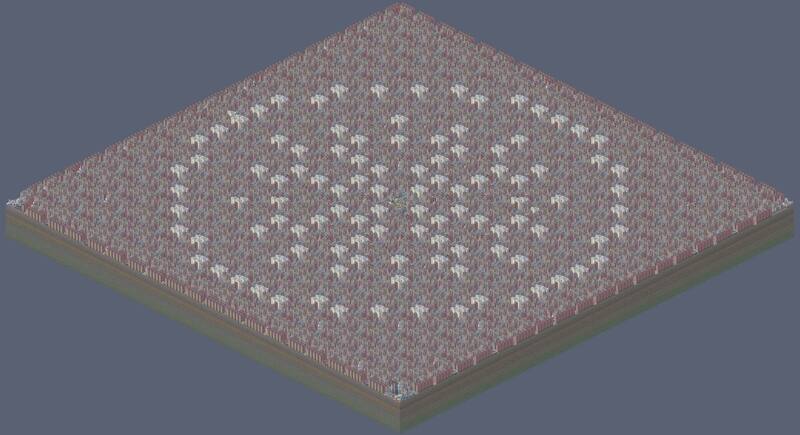 After you zone the areas the buildings may or may not develop, virtual citizens may or may not prosper. It’s a lot about observing and trying to understand the underlying dynamics. It’s an emergent system in which a limited number of interacting modules generates a great deal of complexity. The designer Will Wright once compared it to gardening. You have limited control over a living organism. 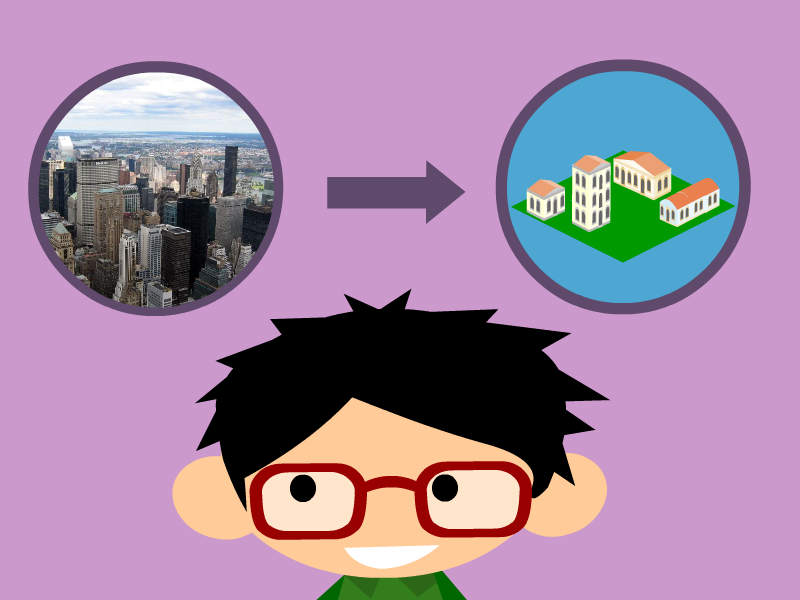 SimCity has been used and is being used as educational tool. Shaping the way a lot of people understand or misunderstand city planning. SimCity Edu for example is a modified version of a recent SimCity meant to teach students about energy and environmental issues. 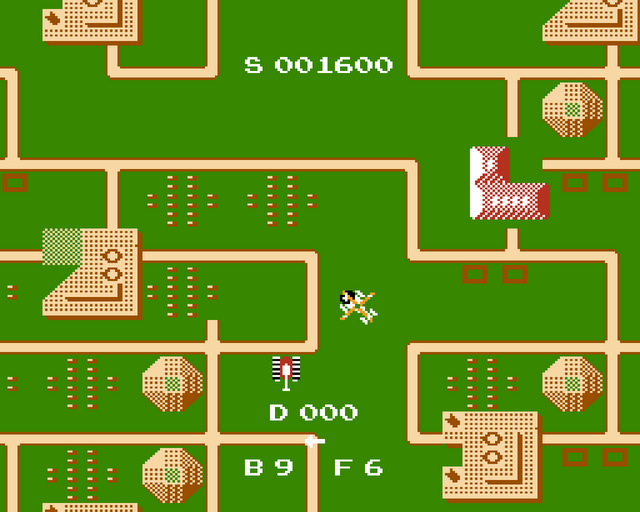 But for decades the commercial versions of SimCity have been used in classes. The original SimCity ships with the OLPC, the cheap laptop created by the MIT to bridge the digital divide with developing countries (a controversial project). 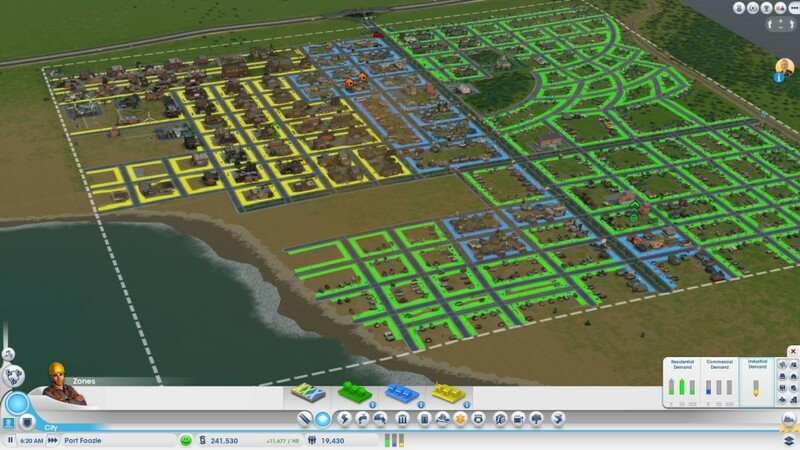 Because of this educational use and because it claimed to simulate really existing systems, SimCity has been studied and criticized from pretty much every angle. SimCity promises endless possibilities. You can create the city of your dreams. But in reality you always end up with Phoenix, Arizona. The only type of city you can create is the modernist, car centered, grid based, North American city (Although in some recent versions like SimCity Societies they tried to add variety). And it’s not just a matter of appearances. Here I tried to build an alternative city based on Situationist principles of Unitary Urbanism. I mixed work places and recreational place, I invested in public transportation and green areas. But the citizens hated it. It was not a thriving city. Another issue is the relationship between urban settlements and nature. You can start from an existing city and try to improve it, but the game is really meant to start from a tabula rasa, with a city built from scratch. The natural environment comes up as a blank slate, uninhabited and pre-packaged in discreet square units, ready to conquer and exploit. It’s very common in games to have a territory that comes already partitioned in units of lands. Civilization uses a grid system too. There are technical reasons for that. But still, it suggests a very specific vision of the nature and ecosystems. 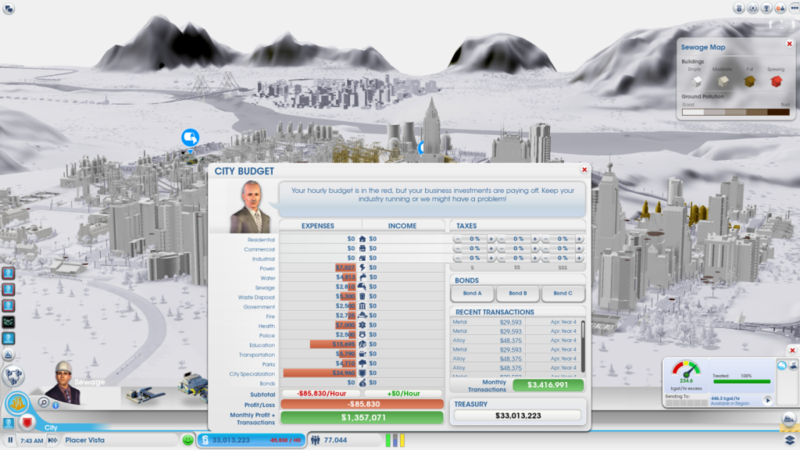 SimCity is not just about planning, you have to take decisions like how to tax your citizens. In pretty much all the titles of the series if your tax rate is around 12% or higher citizens get upset. Typically with a 20% tax, wealthy citizens will simply leave regardless of the services you provide. Some players even managed to run cities with 0 taxes. This is a pretty clear libertarian bias. In many countries people tolerate high taxation if they feel like they get valuable services from the state. 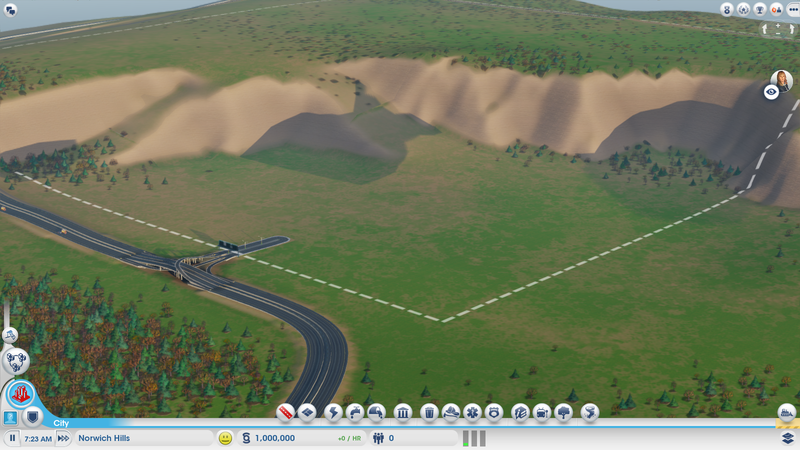 It’s true that SimCity doesn’t have a stated goal but there is an implied goal which is growth. You can play subversively in many different ways, you can destroy things by triggering disasters. But the only truly rewarding way to play is by trying to make a big, functional city. 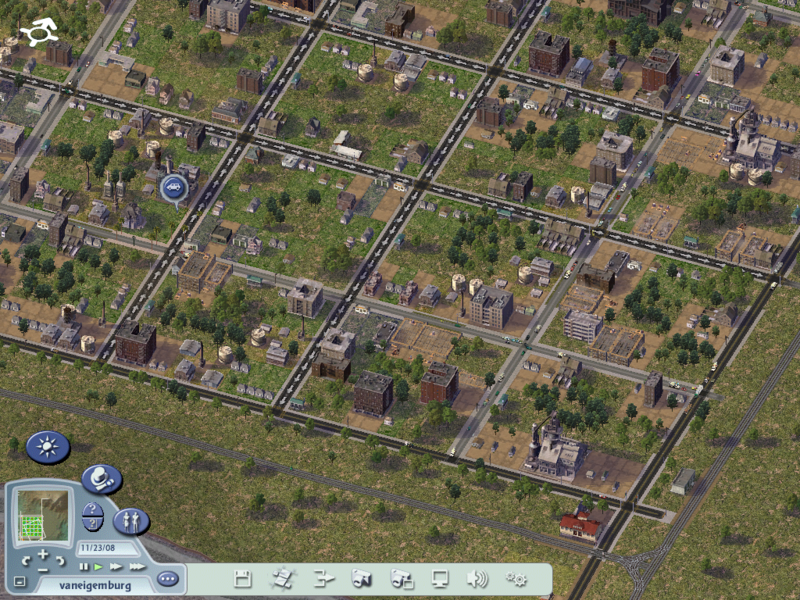 SimCity encourages endless growth without ever confronting the player with scarcity of resources. In SimCity 2000 when the map is full you can build arcologies that are cities within cities. And when you fill the map with arcologies, they simply take off to some other planet and you start over. It perpetually postpones the issue of the limits to growth. Race and class conflicts are also sanitized. Crime can usually be addressed by building more police stations. And you’ll never see racial riots or experience disruptive suburbanization – the White flight. These conflicts were crucial for the development and the decline of North American cities (Detroit being a textbook case). And yet they are not included in the SimCity model. Probably the most fundamental problem with SimCity is the premise itself: that a single person, the mayor/city planner/dictator, can address the contradictions of contemporary capitalist cities though judicious planning. Seeing the city as organism that can be in good or bad health is denying that there are irreducible conflicting interests at play. 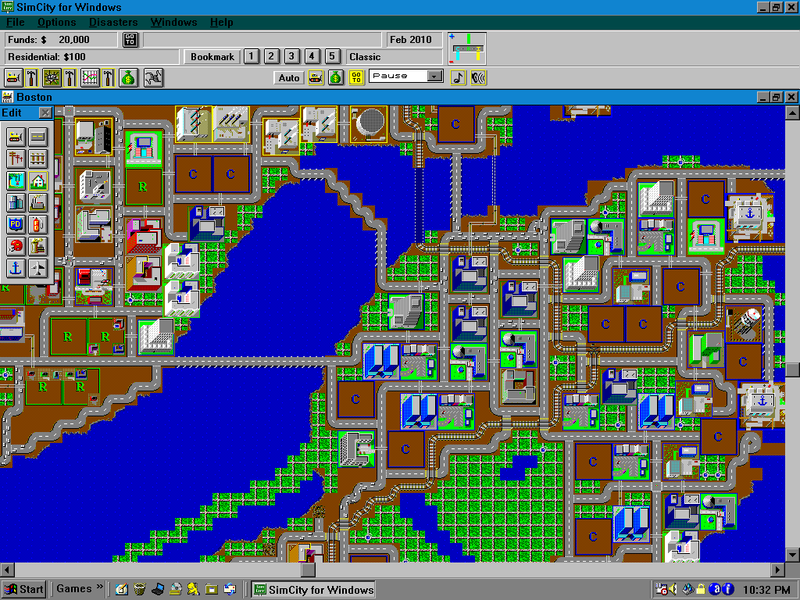 Moreover, there are some more general bias that make SimCity a problematic artifact. Some bias are related to the mathematical, computational nature of the medium: everything is reduced to quantity, to numbers, variables, flows. Some bias are related to the management genre: this top down cybernetic approach is inherently reductionist. 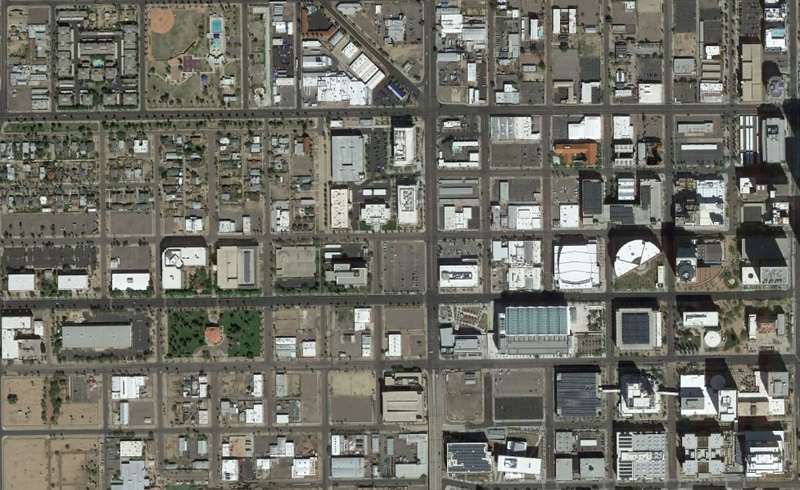 It embodies the modernist paradigm of city planning “from above” ignoring the city as lived at street level. This is the approach that informed carefully planned but ultimately unlivable cities like Brasilia. But most of the bias and the issues I just mentioned come from the fact that between a real city and a simulation of a city there are actual people. People with their own values, experiences, and beliefs that inevitably affect the design of the game. The designers decide what to include and what to exclude in the simulation, the internal relationships between elements of the game and so on. This is inevitable. Because a simulation is always an arbitrary simplification of a small subset of reality, an artifact that can only aspire to capture a limited set of features of an existing system. For this reason we should not hope for more realistic city building games, but rather for a multitude of different city games, providing a multitude of perspectives on our urban environments, and maybe even envision different types of cities that don’t exist yet. This is the premise for the activity I’m proposing today. MultipliCITY is an asymmetrical multiplayer boardgame inspired by SimCity and Carcassone. 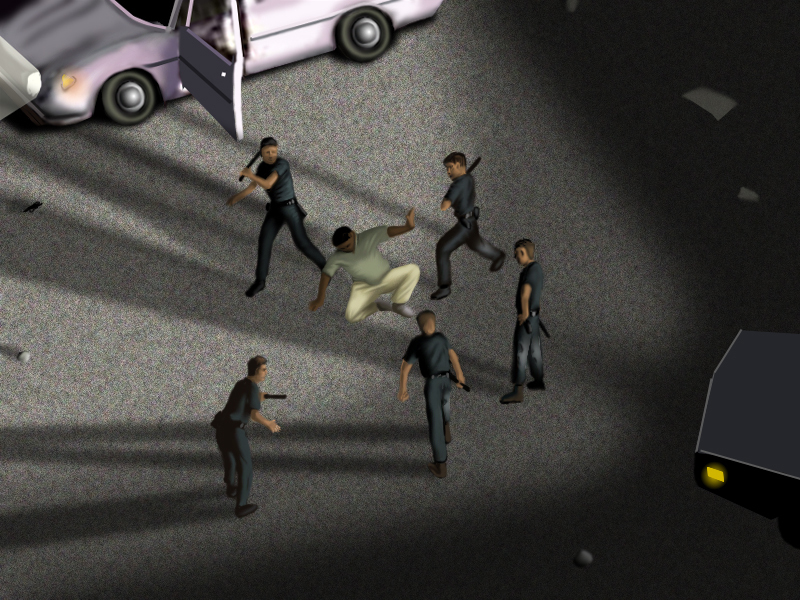 It attempts to address and problematize some of these issue with a moddable game system. You can download printable materials and game rules here.